If you’re like me, you’re not a morning person. Nothing motivates me to get up like a good cup of coffee though. That’s where the best travel mug comes in. Rise and shine a little easier with some hot coffee poured into the best travel mug. There’s nothing quite like starting your day off with a hot cup of joe. 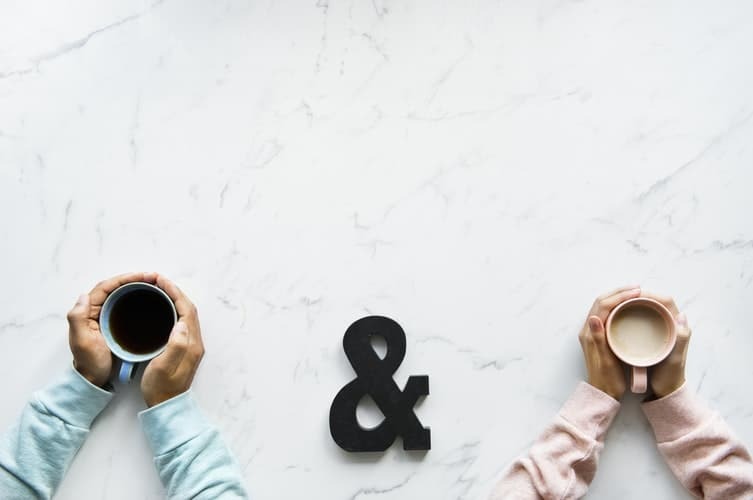 Did you know that there are scientifically-backed health benefits to drinking coffee? Even on those mornings when you’re waking up in London, you’re going to need something to help you start the day. It’s even harder to get up when you’re jet-lagged. Don’t sweat it though. These spill-proof, leak-proof cups of joy will help you get through the day. Alright, let’s get to the good stuff. It’s time to pick the best travel mug for your next adventure. I have a feeling you’re going to love these. When it comes to picking the best travel mug, there are a few questions you should ask yourself before beginning your search. Scope out mugs that actually keep your drinks hot (or cold). You’re going to want something that has great insulation properties. There is no point in buying a mug if you pour yourself some coffee and it’s cold five minutes after you step outside. Will the Travel Mug Leak? You need a travel mug that is leak-free. Let’s be honest. When you’re running to catch the train in the London tube, it’s going to be jostled around a bit. Sometimes, you’ll even drop it. It happens. Is It Easy to Hold and Drink out Of? Can this travel mug be safely washed in your dish machine? Is it easy to clean out manually on the go? Will you be able to get into the nooks and crannies of the lid? Everyone knows the Thermos brand. They’ve been around for more than 110 years. Like traditional containers, heat and cold find their way in through convection. Once you pour your hot tea, coffee, or cold water inside, the heat or cold is retained in your mug through vacuum insulation. Your drink will stay steamy or icy no matter what the forecast says. Take that, weather app! Before you use it and as soon as possible after each use, make sure you wash all parts of the mug with warm, soapy water. Rinse all parts thoroughly and let them dry. While this mug is easy to wash, I’m conflicted about the assembly. There are several moving parts you have to put in place for it to function before each use. Overall though, this mug has more pros than cons. It’s also top-rack dishwasher safe. If you’re looking for the best travel mug, you’ve found one of them here. 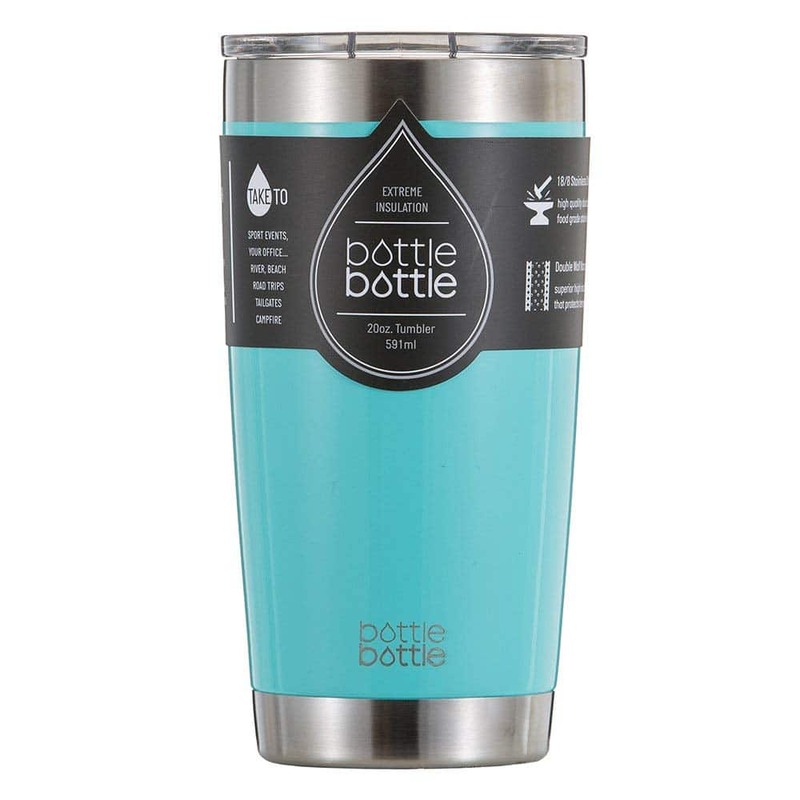 This high-quality stainless steel mug will not break; it’s designed to last and resist rust and corrosion. The capacity is large enough to fit your coffee or hydration needs. I love that the stainless steel repels any lingering flavors. Do you know that gross taste when you realize there’s still remnants of your hazelnut coffee floating around in your earl gray tea? Well, that won’t happen here. 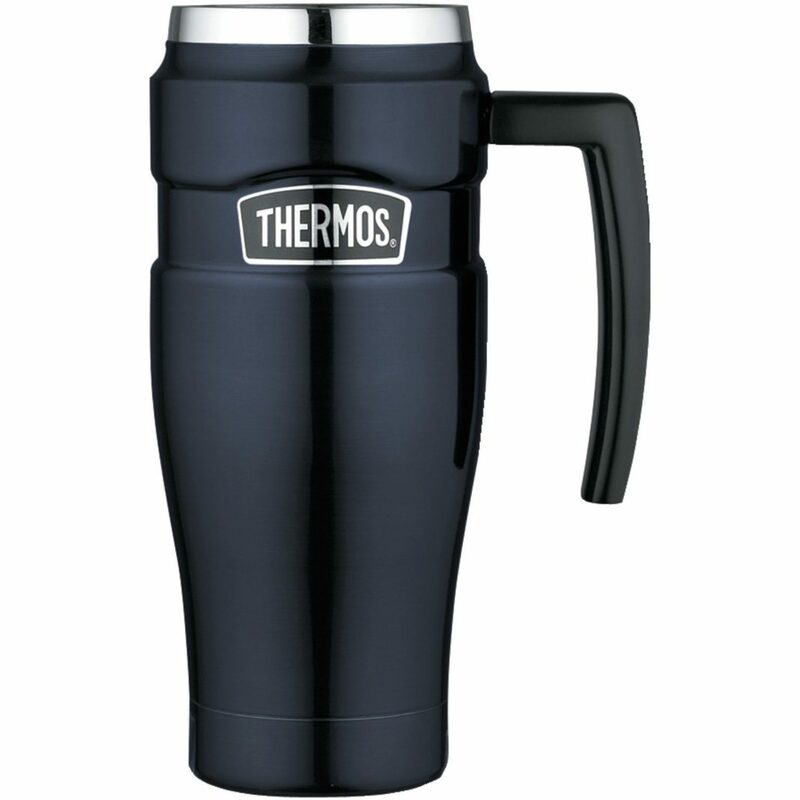 Slip this travel mug into your gym bag, backpack, or briefcase as your daily companion. It won’t leak. Furthermore, it fits perfectly into your cup holder, making it the perfect road trip companion. 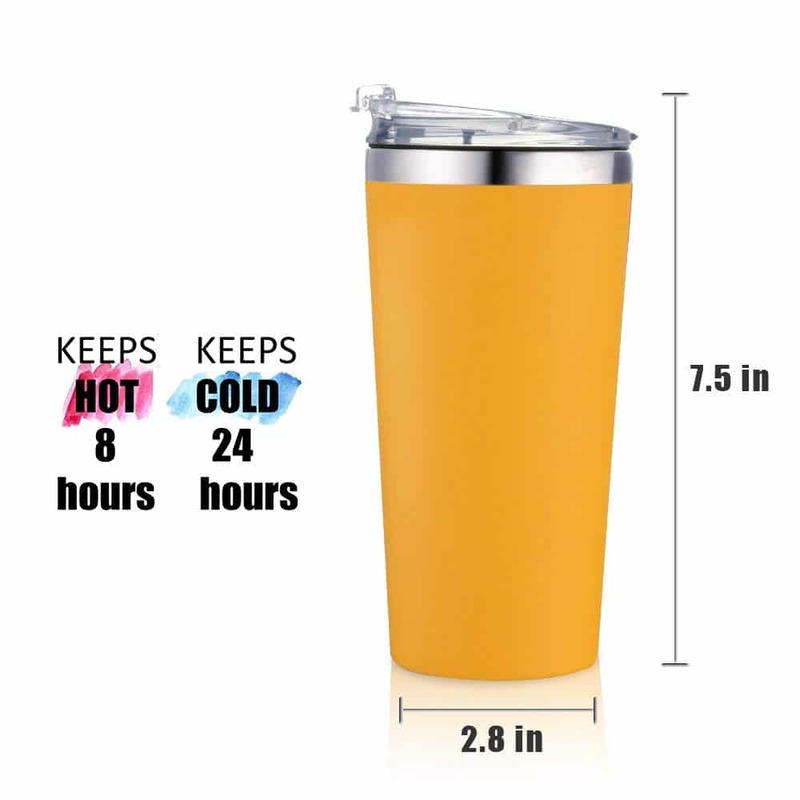 Your cold drinks will stay cold for up to 24 hours. Your steamy beverages will stay hot for up to eight hours. This easily portable bottle can be brought just about anywhere. Take it while you’re hiking, camping, biking, or around the streets for your city explorations. A signature powder coat offers slip-free grip and extra durability. This Bottlebottle tumbler is made from double wall stainless steel. What makes this a good choice for the best travel mug? Well, the inner wall and shell are combined together by welding technique, then condensing the air in the interlayer of the inner wall and the outer shell to achieve the effect of vacuum insulation. Your beverage will keep hot and cold as long as possible. Thanks to vacuum insulation technology, no matter how cold or hot your beverage is, the exterior of your tumbler will stay dry and mild to hold. It won’t leak or spill in your car, bag, or on your desk. It’s important to note that this travel mug is not dishwasher, freezer, or microwave safe. The exterior is finished with gloss/matte colored powder. It is BPA free, durable and sleek. I love the variety of color choices it comes in. This is such a fun mug to take for your adventures on the go. I hate spills as much as the next person. 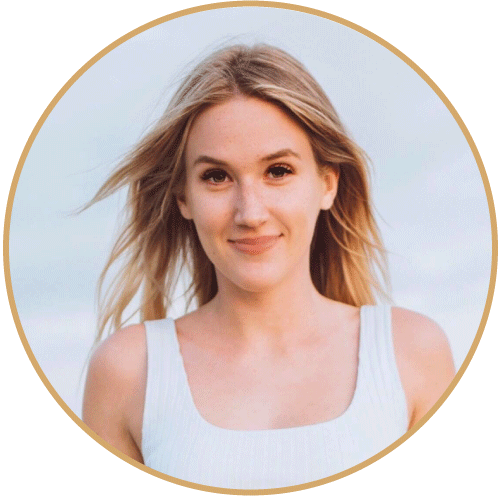 Whether it’s a coffee stain on your favorite sweater or a sticky mess all over your car’s interior, you don’t need the hassle. That’s where the best travel mug from Contigo comes in handy. Thanks to their autoseal technology, you can enjoy a spill and leak-proof design that eliminates the possibility of spilling anywhere. 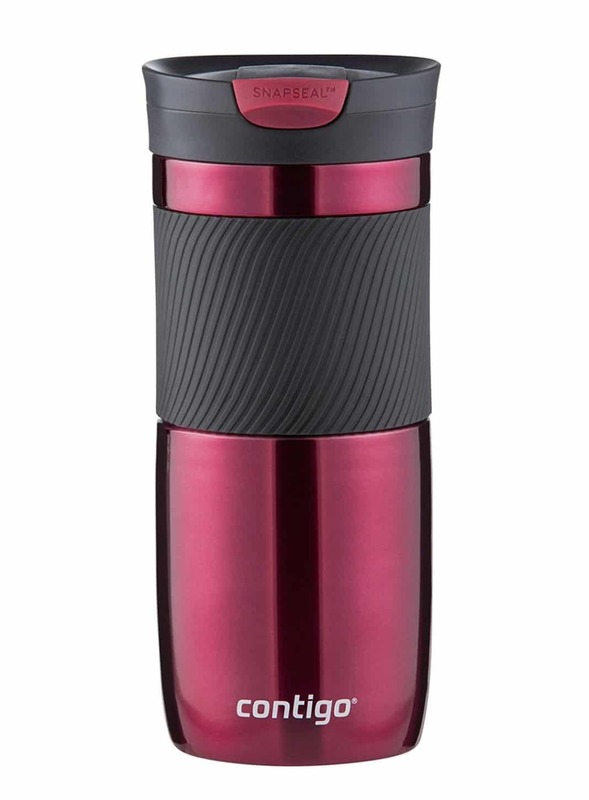 This autoseal stainless steel travel mug is the ultimate travel companion. The Transit mug has all of the features you know and love - and more. So what makes it so great? Besides being spill-proof, drinks stay hot for up to 7 hours and cold for up to 12. Thanks to the clean guard lid, it’s easier to wash than ever and the spout keeps gross germs and dirt out. 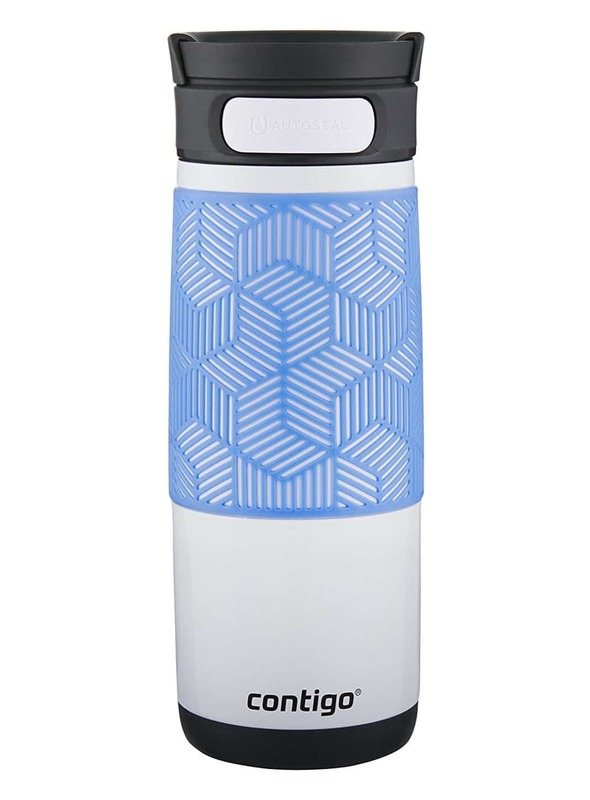 Can you tell I love the Contigo brand yet? Take your coffee on the go in this lovely snapseal style mug. This large capacity mug does the work so you don’t have to. Just snap the mug’s lid open and closed and then it’s sealed shut. Goodbye spills, I won’t miss you. If you’re a slow coffee drinker, you can enjoy your hot cup of joe 7 hours after you’ve poured it. I also love that its top-rack dishwasher safe and BPA free. Last but certainly not least, you have a lifetime guarantee when you buy from this brand. Material issues, workmanship issues, defects, and replacements are all available if something goes wrong. Now, this is a deal I can get behind. 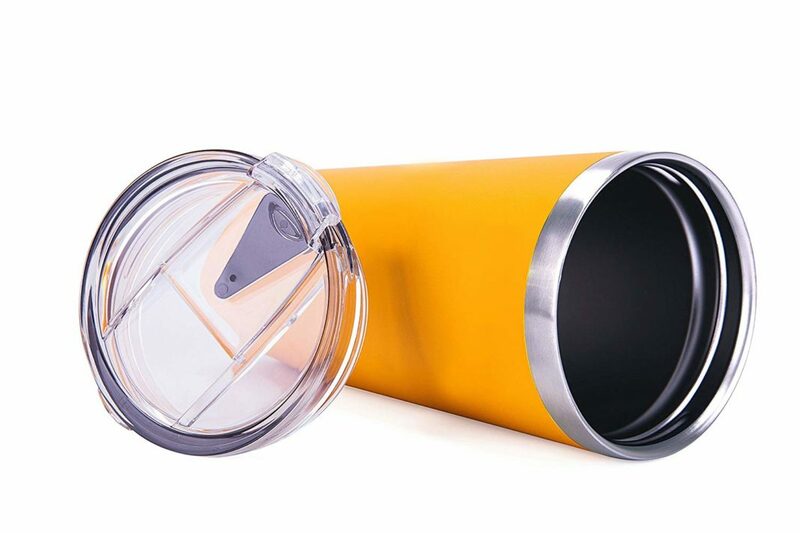 This vacuum-insulated stainless steel travel mug by Ello is perfect for your on-the-go need. Thanks to a newly patented slider lid, it’s 100% leak-proof and easy to use. Furthermore, the vacuum insulation keeps your beverages hot for up to five hours and cold for up to ten. The cork composite base is more than just cute. It protects your tabletop and fits in most cup holders. Last but not least, the Ello is 100% BPA/BPS free and dishwasher safe. All in all, this stylish dishware is sure to brighten up your day. Okay, I’m sure you’ve seen this in every REI store you’ve walked into. But have you tried them? They’re amazing. 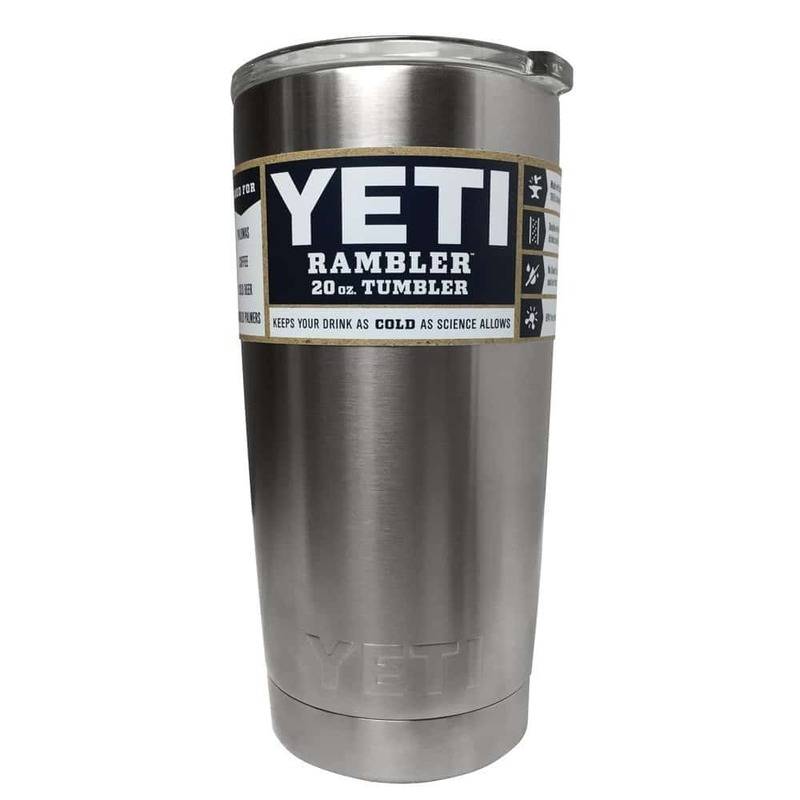 This Yeti mug is definitely geared more for those who are doing some heavy duty hiking, camping, or backpacking. If you’re looking for the best travel mug, it’s a top contender on the market. With an 18/8 stainless steel construction, double wall vacuum insulation, and a no sweat design, it’s a fuss-free way to start the morning. Its crystal-clear dishwasher safe shatter-resistant lid lets you check your drink status in a flash. Refill, anyone? Trek on without any spills in the morning. Camelbak knows that sometimes, water isn’t enough. That’s why they re-invented the travel mug for a better on-the-go coffee and tea experience. This double-walled vacuum-insulated vessel will keep your 16 ounces of joe piping hot for up to six hours. Better yet, the impact cap prevents dents or cracks in the event you drop it. While the Forge is designed to fit in most cup holders, you can also toss it in your bag without it messing up your gear. When you need to keep your eyes on the road, it’s the perfect size to hold one-handed. The self-sealing cap is easy to use and snaps back into place to prevent leaks and spills. Last but not least, the lid won’t collect grime and it’s easy to clean if you just pop it in the dishwasher. I hope you enjoyed reading our article on the best travel mug choices for your next adventure. When you go to pick one out, make sure it meets the qualifications we listed above. Having a spill-free, good quality mug that keeps your drinks hot (or cold) really does make all the difference.